Every girl dreams of the perfect wedding day, creating a memory one can look back fondly upon for many years to come. But with all there is to do to make it happen, its important that you don’t let the stress of planning your big day take away from it! 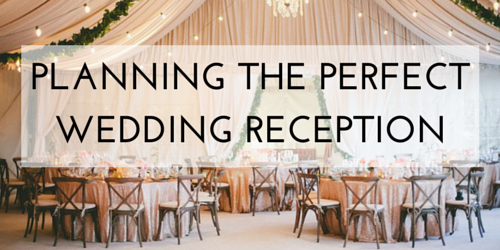 We’re sharing our top tips and must-haves for planning one of the most important parts of your wedding day – the reception! Read on to find out how to incorporate personalized memorabilia, food, and decor seamlessly into your dream wedding reception! The toast is possibly one of the most anticipated parts of any wedding reception! 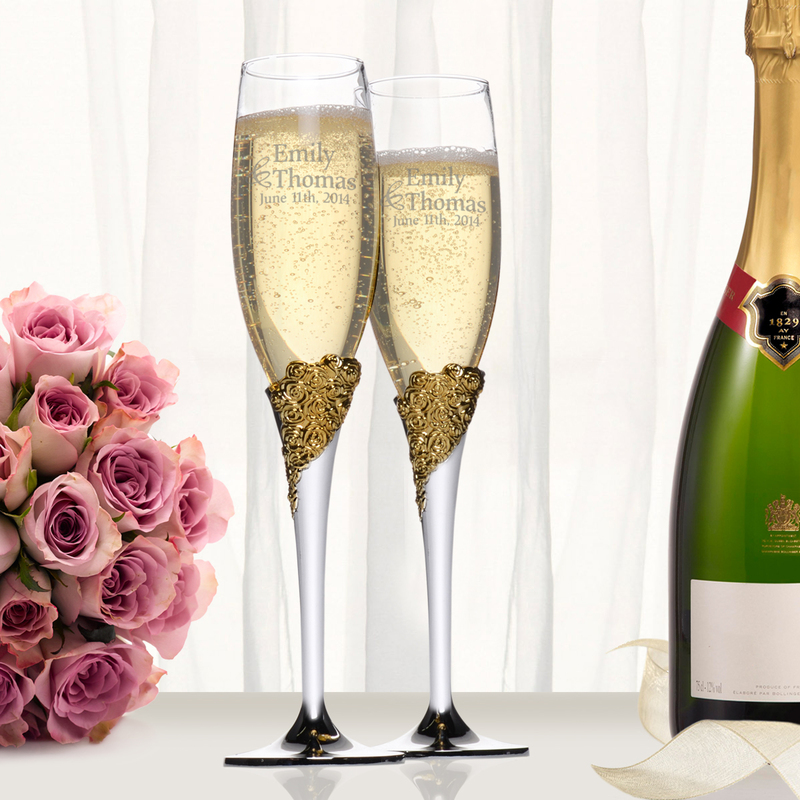 Mark the special occasion with a pair of personalized toasting flutes like these Marchesa Rose Crystal gold plated champagne flutes. 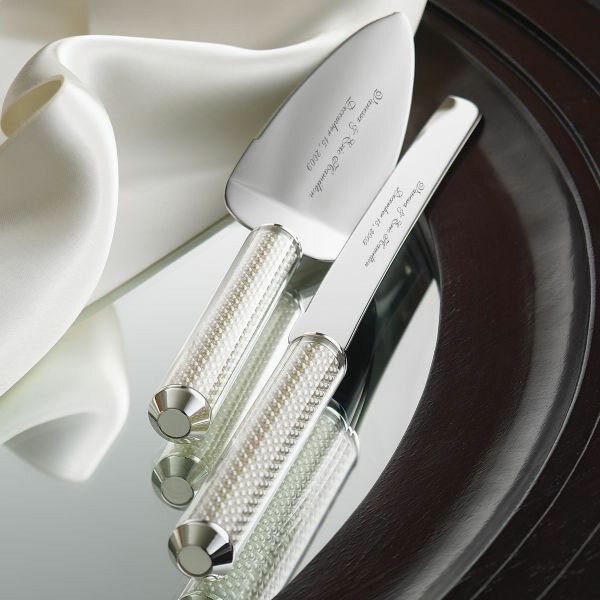 Engraved with the couple’s first names and the wedding date, they serve to create a memory that will last a lifetime. Weddings are the perfect place to unleash your sweet tooth! You can have your guests raving about the dessert before they even get to taste it with exquisite cake designs set to match the reception decor. 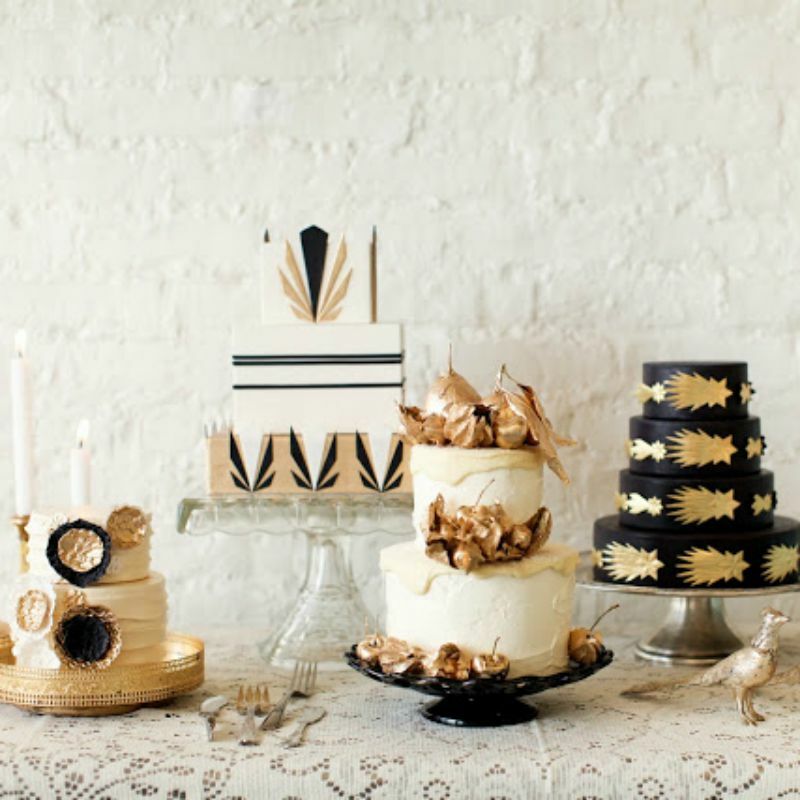 Think of the wedding cake as the centerpiece of the reception then treat it as such. And speaking of dessert, the right tools to serve it with are essential! That endearing moment where a bride and groom first cut the cake together will further be made memorable by a pair of cutting tools marked with the wedding date and special message of your choice. Find an elegant choice like this Lenox Jubilee Pearl 2-piece Dessert Set here. True love deserves to shine. 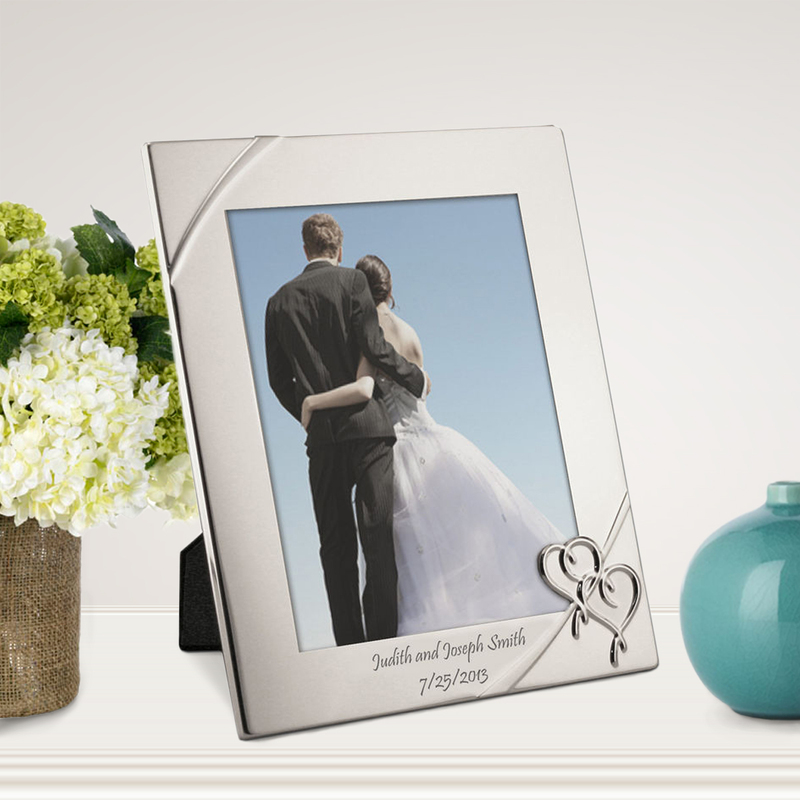 This silver-plated personalized Lenox Photo Frame will serve beyond being a lovely fixture at the wedding reception and will also make a great addition to bride and groom’s new home! Engrave it with the couple’s names, special greeting and/or wedding date. 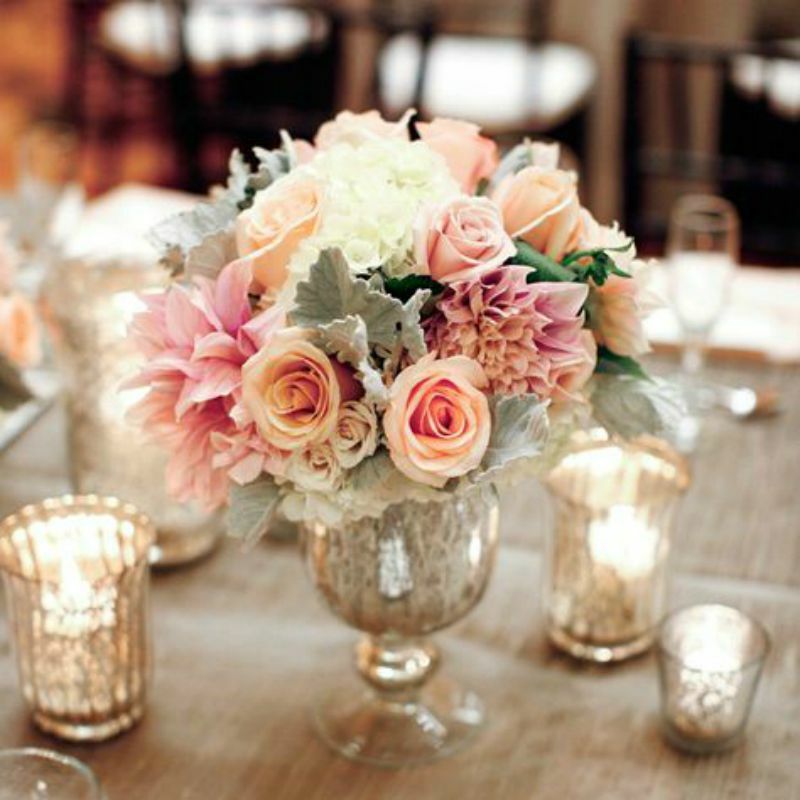 Currently trending in 2015 wedding decor are lush floral accents. Add a soft and fresh feel to your wedding reception with floral centerpieces containing a mix of wild flowers and rich greenery at each table. The wedding party and guests alike will be left with a wispy feeling of wonder by these blooming adornments. No more appropriate stemware could be found for this occasion! 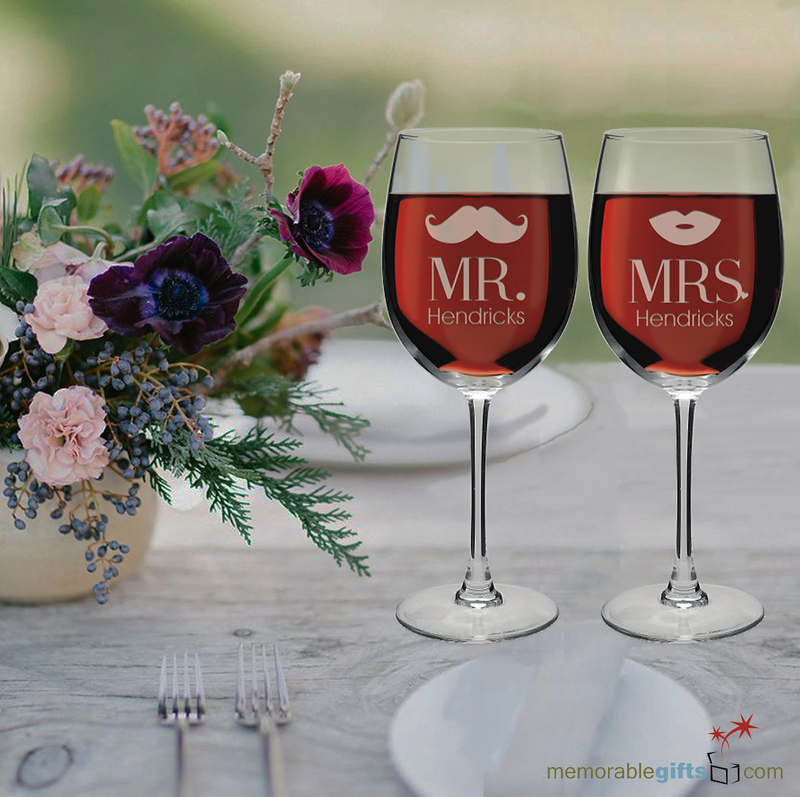 Both playful and charming, this personalized Mr. & Mrs. Wine Glass Set captures the spirit of celebration at the wedding reception and is sure to put a smile on both the newlywed’s faces. Personalize your pair with the couple’s last name. A great wedding reception will be backed by a fitting soundtrack! Whether it’s live entertainment or a DJ, plan the playlists ahead of time – including a list for specific must-have songs, and a do-not-play list for those you don’t want. 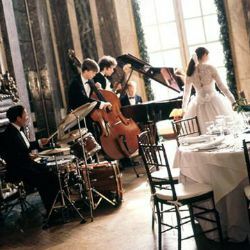 Another tip is to have your entertainers keep the mealtime tunes soft, being considerate of diners by turning down the music and avoiding energetic selections. Share engagement or wedding photography with your guests at the reception! 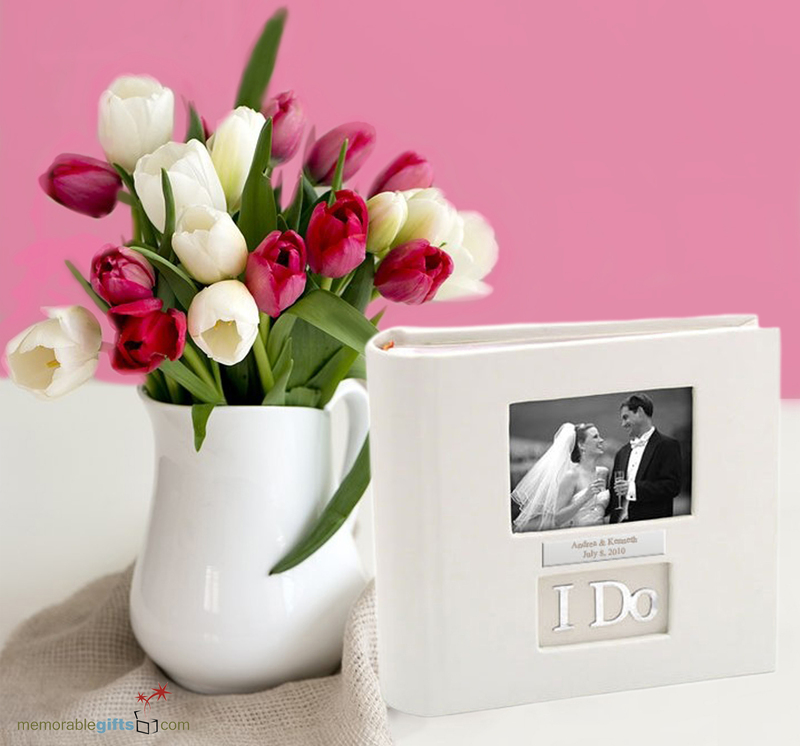 This personalized wedding photo album features the words “I Do” on the cover, appropriate for the occasion, and guaranteed to be cherished for numerous anniversaries to come. Personalize it with the couple’s name and wedding date. Everyone’s dressed their best and they’ll want to photograph it! Provide your guests with a photo booth or photo backdrop where they too can create memories to last for years to come! 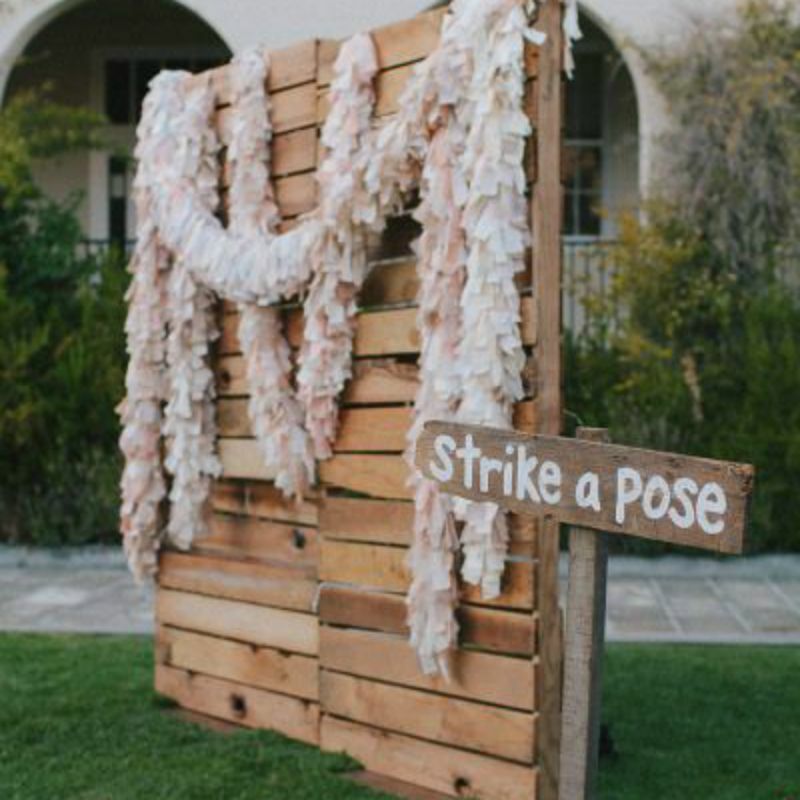 Bonus: Set aside a time where guests can take turns taking pictures with the bride and groom in the photo corner. They won’t be able to stop raving about what a great idea this is. The small details count! 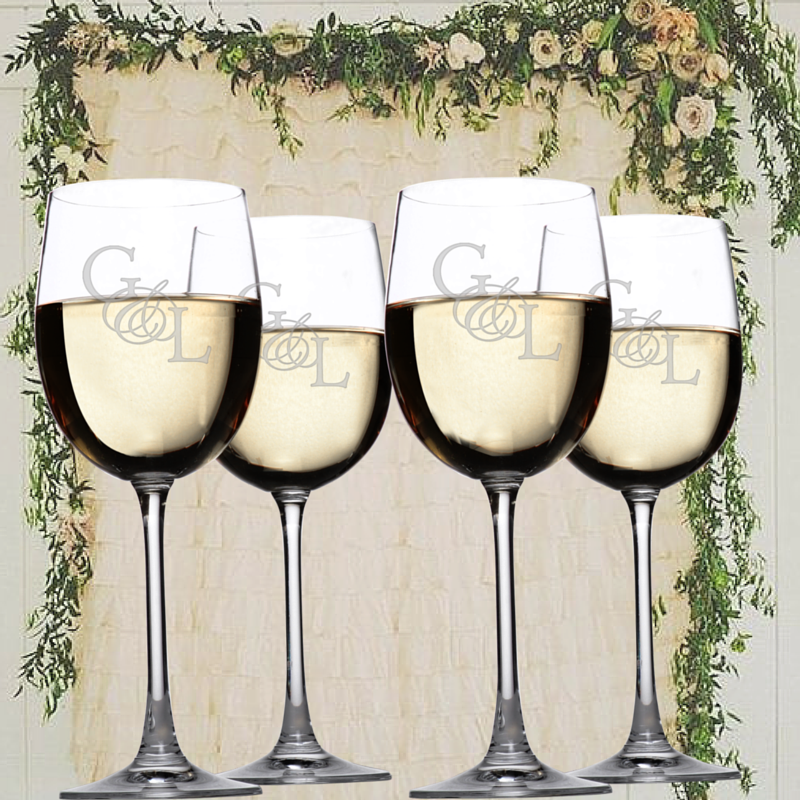 Some well-placed touches, like monogrammed wine glasses, can go a long way toward making your party look extra-special. These personalized Lenox Crystal glasses make a great addition to the dining and drinkware, as well as excellent wedding favors and mementos for your wedding party. Great ideas to make a special day very very special. Loved your ideas of having personalized wine glasses, engraved dessert set and Monogrammed Crystal Glass Set. Will be looking forward to your future post.